Forget cord cutters: "cord-nevers" are the people CMOs should be worrying about. 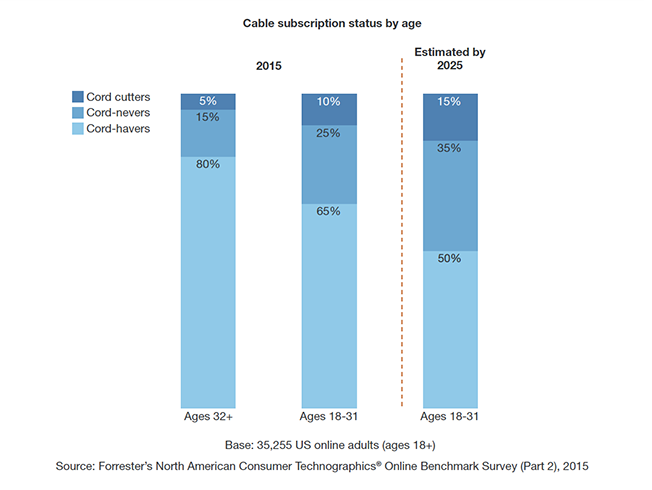 A new Forrester study predicts that by 2025, 50 percent of adults under 32 won't pay for traditional cable subscriptions. 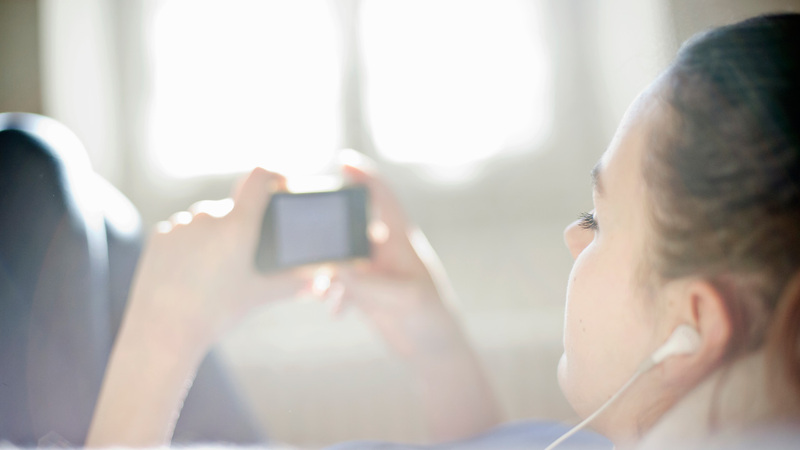 An online survey of 32,000 U.S. adults found that 76 percent subscribe to cable. Of the 24 percent who don't pay for cable, 18 percent are cord-nevers—people who have never paid for a cable subscription—while 6 percent are cord cutters, meaning they have canceled their cable subscriptions. The report notes that this year, digital cord-nevers have surpassed cord cutters and represent "the next stage of evolution in TV viewing." When you break that down by age, 65 percent of adults ages 18 to 31 subscribe to cable, while 25 percent of them have never subscribed and 10 percent have cut the cord. On the other hand, viewers 32 and older are more committed to cable: 80 percent are subscribers, 15 percent are cord-nevers and 5 percent are cord cutters. "Rather than inherit TV viewing expectations from a prior era and then consciously reject them, as cord cutters have done, these cord-never viewers have simply bypassed prior assumptions, exhibiting nearly the exact set of behaviors that cord cutters have pieced together for themselves over the past decade of viewing," wrote Forrester analyst James McQuivey. McQuivey predicts that by 2015, only 50 percent of consumers ages 18 to 31 will subscribe to cable, while 35 percent will be cord-nevers and 15 percent will be cord cutters. Given this trend, "CMOs must experiment on cord-nevers and cord cutters now to learn how to serve them later," wrote McQuivey, who suggests reaching them via mobile video advertising, embedded marketing, OTT services that offer livestreaming (such as Sling TV and CBS All Access) and virtual- or mixed-reality ad experiences. Forrester's findings come as networks say they are closer than ever to finally monetizing their total audiences, thanks to new multiplatform tools from Nielsen and other companies.